Speaking to The Indian Express, Justice Bhandari said he and his fellow judges at the ICJ worked round-the-clock all of last week and the outcome was an unprecedented unanimous pronouncement. Shortly after The Hague ruling Thursday, Justice Dalveer Bhandari, the Indian judge on the 11-member bench of the International Court of Justice (ICJ), described the order as a “hugely satisfying interim pronouncement which is a great diplomatic victory for India”. 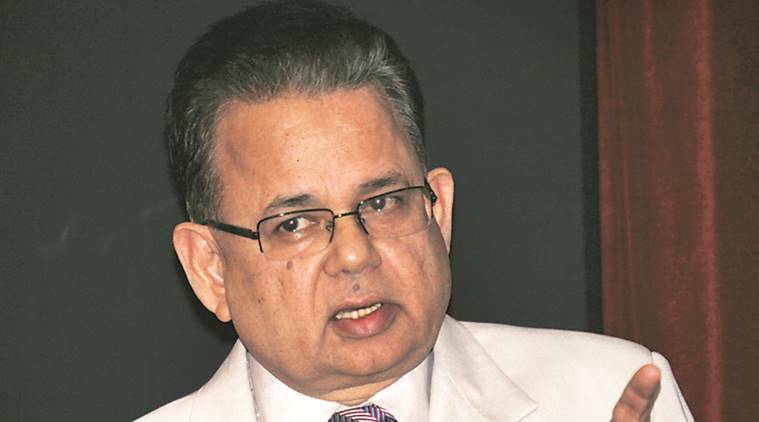 Speaking to The Indian Express, Justice Bhandari — he joined the ICJ in April 2012 — said he and his fellow judges at the ICJ worked round-the-clock all of last week and the outcome was an unprecedented unanimous pronouncement. “I am delighted that the International Court rose to the occasion and did what it could in such short notice. We have saved a person from the gallows. This will prove to be a very important case for the jurisprudence of human rights. Now the larger issues which have been raised by the dispute will be taken up by the court after a break,” he said. Justice Bhandari described the events which led to the quorum easily being formed to hear the Kulbhushan Jadhav case. He said once the ICJ was abreast of the matter, judges rose to the “call of duty” and took the first flight from different parts of the world to arrive at The Hague. Then, for over a week, did nothing else but examine the submissions of India and Pakistan and write their observations. He said he had personally written a lengthy “declaration” on the dispute and was delighted that eventually, the pronouncement was one in which the entire bench concurred. Describing the key facets of the Jadhav case, Justice Bhandari said, “This is a case in which Pakistan unfairly denied consular access.